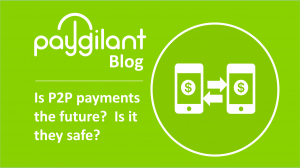 Paygilant’s technology is designed to prevent mobile transactions, payments and money transfer fraud across the entire user journey – from app download to ongoing transactions. Paygilant’s hybrid mobile fraud prevention solution is a combination of smart, independent and compact on-device active risk engine and a powerful machine learning and AI back end analytics platform. Using multiple and unique data gathering intelligence sets that perform risk assessment at various checkpoints on the mobile device and in conjunction with its back-end server, Paygilant’s solution can decisively identify fraud no-fraud transactions in milliseconds. By integrating, correlating and analyzing six separate fraud intelligence sets, Paygilant can determine, with high probability whether a mobile based transaction is legitimate or fraudulent, reduce the associated friction and improve the user experience significantly. Paygilant assesses user biometric behavior, user unique device attributes and user transaction conduct to weave a true false identity representation of the mobile user. Paygilant partners with industry leaders to provide best-in-breed solutions that offer great user experience while stopping fraudsters before they can do harm. We work jointly with our partners to enhance customer value, loyalty, and bottom line results. By joining Paygilant’s Partner’s Program, as a referral or technology partner, we offer our mutual customers a scaleable and seamless value-added collaboration.